After our Salar de Uyuni tour finished, we had zero time to rest, catching an overnight bus to Sucre via Potosi, the highest city in the world. After getting accustomed to the somewhat “cushy” buses of Argentina and Chile, the level of service was decidedly more third-world. About three hours into the bus ride, it seemed as if the bus was more or less off-roading. I didn’t know buses could handle this kind of punishment, but all the Bolivians on board seemed like they were used to this. At our first rest stop, we had ten minutes to use the bathroom or buy a few snacks from a vendor. The little outpost we stopped at was definitely a “wow, I am literally in the middle of nowhere” moment, quickly followed by looking up and seeing a sky that was so bright it seemed alive. I missed the stargazing experience in Salar de Uyuni with Dana because I was going through a miserable case of altitude sickness, so this was a nice make-up opportunity. 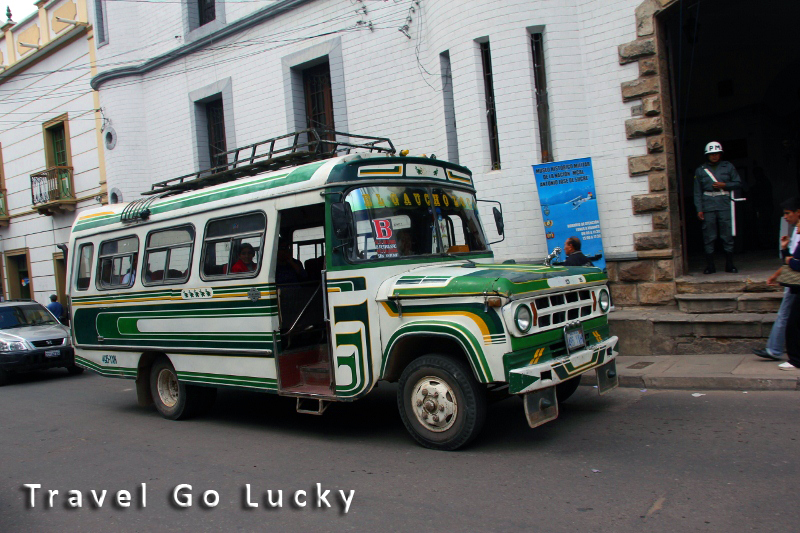 Around 1:30 am the bus made its stop in Potosi, where the remaining people going onwards to Sucre switched to a different bus. 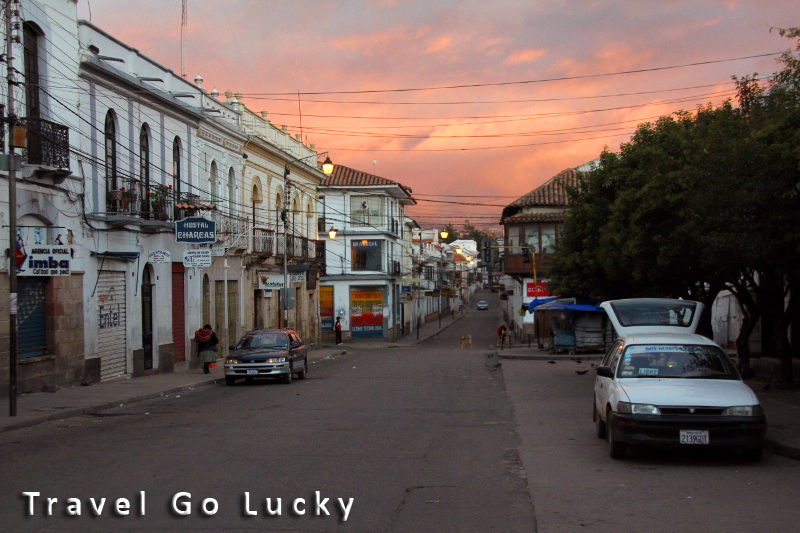 We rolled into Sucre at 5:15 am, looking like travelling zombies. We of course had no place to stay because the internet in Uyuni was the slowest it’s been since Africa, and many hotels/hostels don’t even have internet so on-line booking is pretty much useless. After a half-dozen attempts or so, we found a decent place to stay…. and promptly passed out for about six hours. The rest did us a lot of good. I should also mention at this point of our reunion with our Finnish friends Anu and Tuula. We last left them in Patagonia about a month ago, when they flew to Buenos Aires. 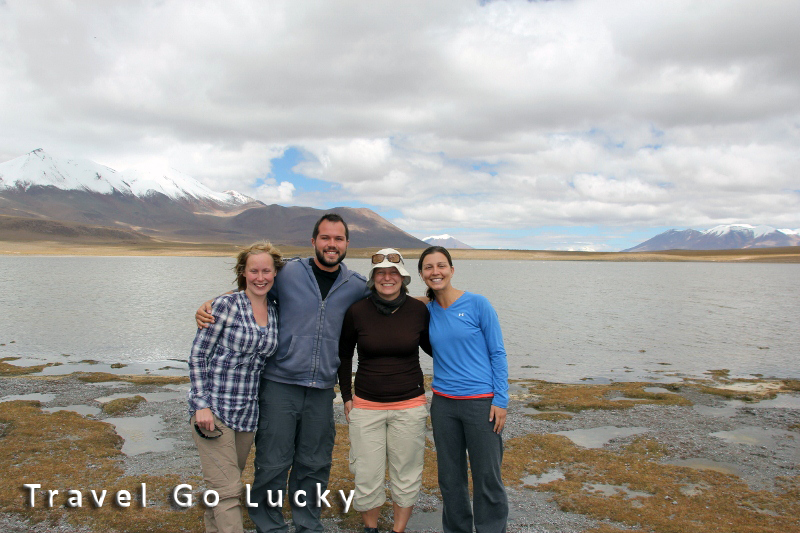 Since then they travelled to Peru and met us after the Salar de Uyuni tour. It was great to meet up again. 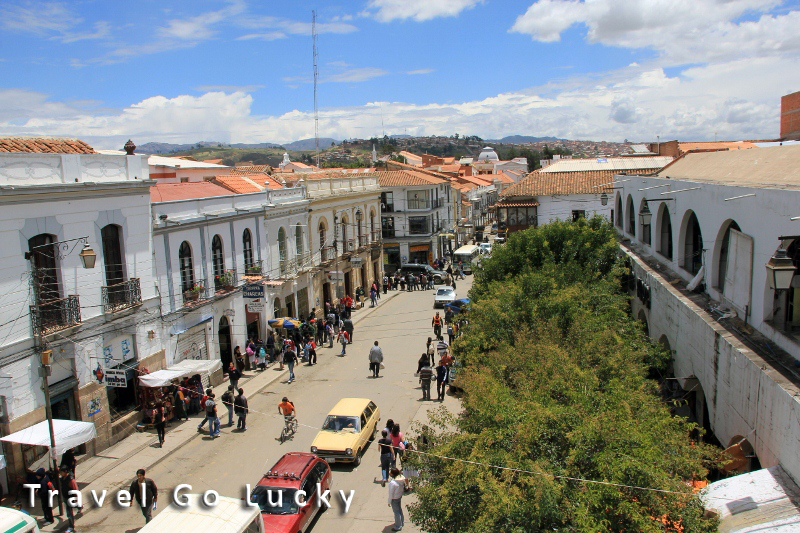 The city of Sucre is peculiar because it represents the second capital of Bolivia, along with La Paz. 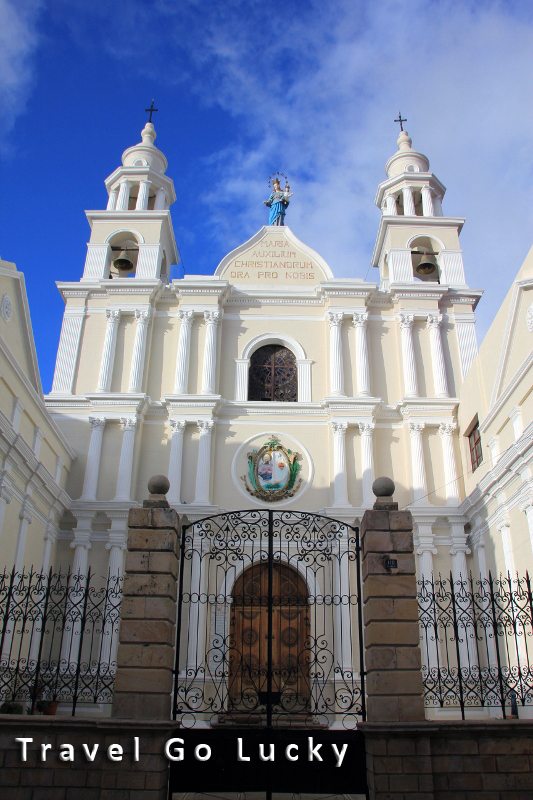 The Bolivian high court meets in Sucre, and don’t refer to it as the “second” capital to locals, to them it’s THE capital. The first thing we noticed while exploring the city was the architecture. 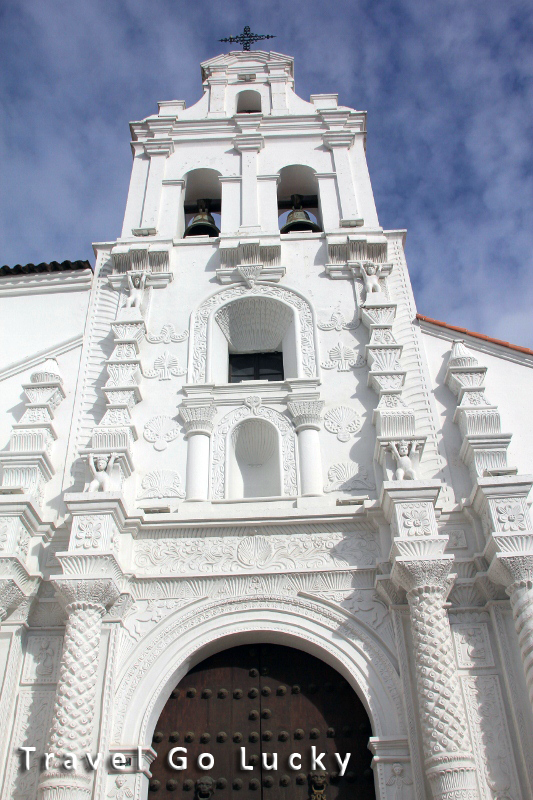 The colonial buildings were gorgeous, looking more European than South American. The people of Bolivia however, looked anything but European. Over 85% of Bolivia’s population is of indigenous background, similar to Native Americans. The first thing that you’ll notice about Bolivians are the women. 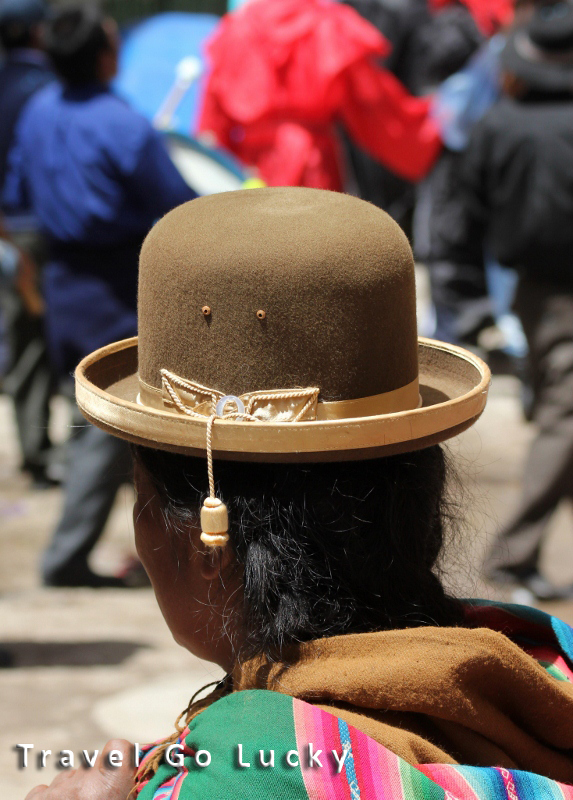 Their unique outfits are topped off with a bowler hat, one of the most iconic memories we’ll have of travelling through Bolivia. 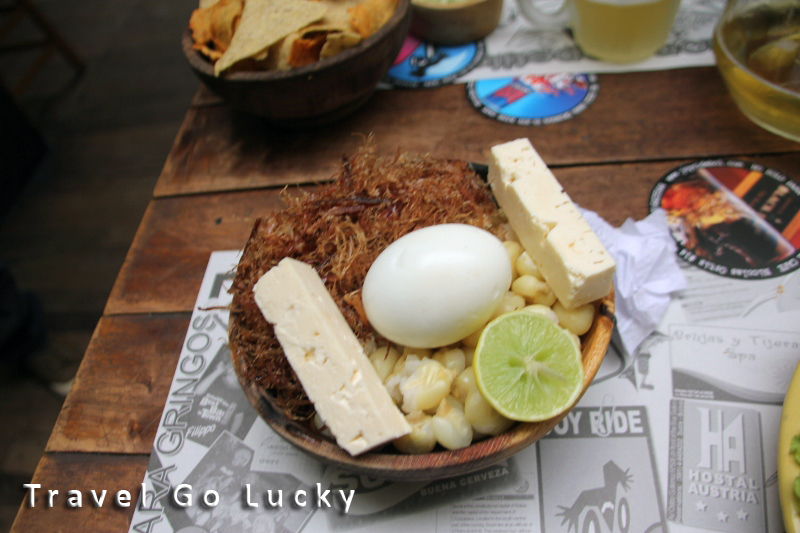 I also got a chance to try some new food, starting with the Bolivian dish Charca de Res, which is served in a bowl and consists of a type corn with gigantic kernels, sticks of cheese that I can only describe as being similar to feta, and topped with a ton shredded dried beef, like jerky almost. There was also a hard boiled egg, and half a lime. It seemed a bit random and thrown together, but I liked it a lot. 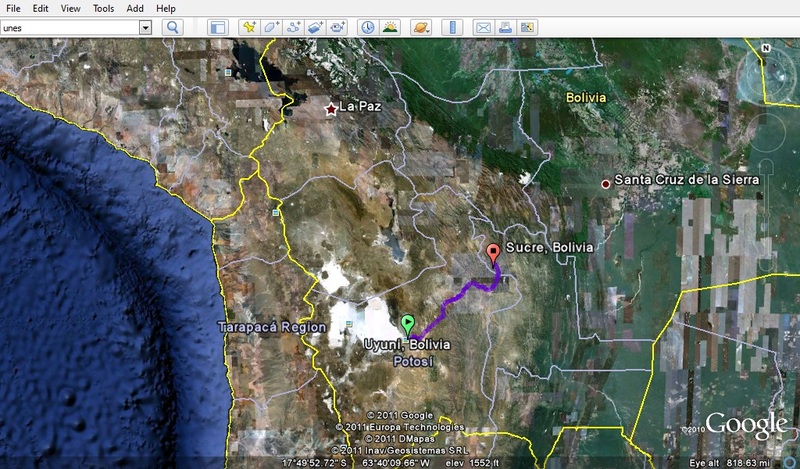 Our last day in Sucre was spent planning the next stop on our trip. 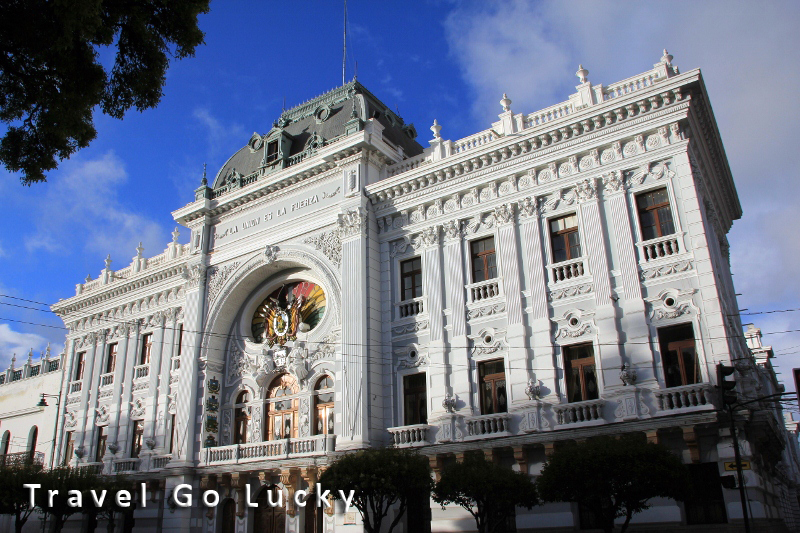 A few tour agencies were advertising a trip to Oruro, the epicenter of the Bolivian carnaval, called La Diablada. Since all the hotels were already booked up in Oruro, we decided to go ahead and take the plunge to see this unique event. More from our visit there in a few days!